Not quite long ago, Airtel released a timely unlimited night plan which they also increased the price recently. If you don't already know before, Airtel has increased the price of the 1 hour unlimited night data plan from #100 to #500 - which is so shocking and very bad! I wonder what could have made them increase it that way, so if you've been trying to activate the plan and it's not going through, that's probably because you don't have up to #500 on your Airtel SIM. Despite the fact that Airtel keeps being a mess when it comes to Data most of the time, MTN has been trying a lot to be the little smart boy we all want to have with the series of data plan they are dropping from time to time. I'll like to inform you that MTN has just released another mouthwatering data plan where you'll get a whole 500MB data for just #25 naira, yeah, you heard me right.. but this data only lasts for a night because it's a night plan. I know you are excited about this plan and you really want to know more about it and how to activate it. It's as simple as ABC. Here you go! How to activate the 500MB for #25! 1. First, you need to migrate to MTN Pulse package (if you are not already there) by dialing*406#. 2. Then, ensure you have a minimum of #30 on your MTN SIM. 4. With the reply gotten as shown above, you can simply deduce yourself that this plan is usable only within 12am – 4am which is so. 5. 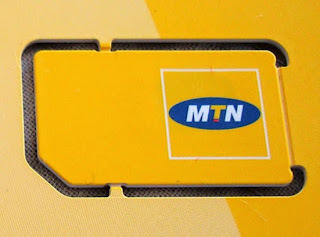 Since this is an official data plan from MTN, you are going to use MTN's default Access Point Name, which is - web.gprs.mtnnigeria.net to browse on ANY device where you want to use it. There are probably some question(s) running through your mind already about this data plan which you are free to ask through the comment box but I will also like to answer a few with my own discretion. Note that you can't accumulate this data plan and you can't subscribe for another 500MB again after you've exhausted the first 500MB, until the following night. This simply means that you only get 500MB for #25 on a SIM in a night, since that's the case, just get yourself as many MTN SIMs as possible and start using them one after the other. If you've got good mathematical knowledge then it simply means that you can get 1GB for just #50 with 2 MTN SIMs, 2GB for just #100 with 4 MTN SIMs and so on like that. The fact that MTN has an excellent Network coverage almost everywhere in Nigeria makes this kind of superb. Almost, if not everyone, will surely enjoy using this night data plan. I'd rather stay up late at night surfing and downloading on the Worldwide web than stay up late making night calls with some knuckleheads **smiles. Now, you must share this wonderful, new data plan with your friends so they can also enjoy it. What do you think about this night data plan - dope or nope? Do you have other affordable data plans or cheats you are using, kindly share them with us via the comment box. Have a wonderful weekend!